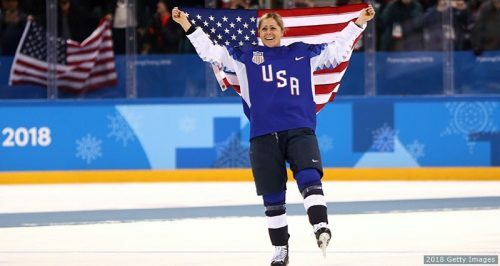 Gigi and Team USA Win Olympic Gold! The 2018 PyeongChang Olympic Games were filled with riveting matches, top notch competition, inspiration stories, and heart-moving moments. Of all the events, the USA vs Canada game was a favorite for us at RinkRat 19 Hockey School. The only time the US Women’s Team brought home gold was back in 1998 and the 2018 team were determined to break Canada’s winning streak. 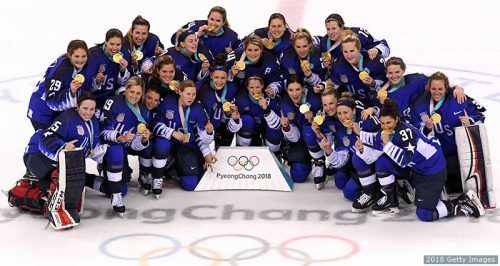 In the most captivating match between the biggest of rivals in women’s hockey, Team USA came out on top in the shootout to bring home the gold!!! For those at the arena and for everyone watching from their TV screens, it was one of those games that had you at the edge of your seat the whole time. The tremendous victory and post-game celebrations measured up to the hype leading up to the match – what a tremendous feat for these 23 women! Another special moment for RR19HS at the 2018 Winter Olympics was having former coach, Sidney Morin, also on Team USA!